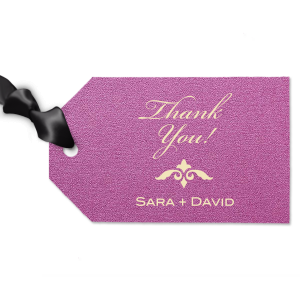 Step up your wedding welcome bags and party favors with custom printed destination wedding luggage tags. Chic packaging will make a lasting impression on your guests. 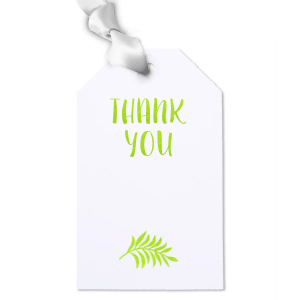 Personalize a design below or create your own in the FYP Customizer. 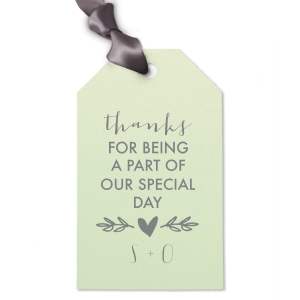 Your guests have traveled a long way to be a part of your destination wedding celebration, which gives you a great opportunity to shower them with some extra personalized gratitude with your welcome bags, complete with custom destination wedding luggage gift tags. 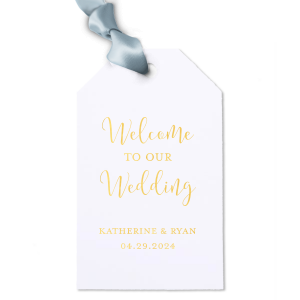 Create personalized destination wedding luggage gift tags to top off welcome packages and wedding favors, as well as special gifts you give to your wedding party and parents. 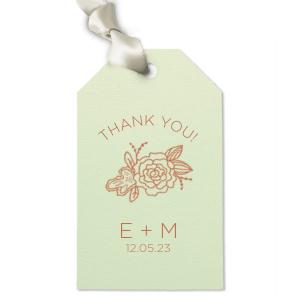 Shaped like a traditional luggage tag, these wedding gifts tags are the perfect option your your travel wedding. 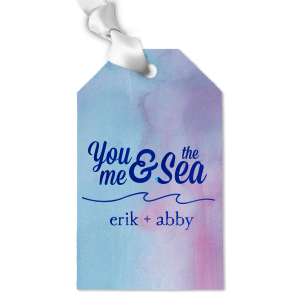 Personalized destination wedding luggage gift tags also make a simple but sweet save-the-date for your destination wedding. 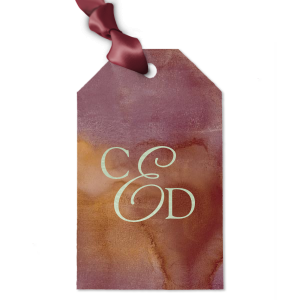 You can even create your destination wedding luggage tags to match your wedding decor! 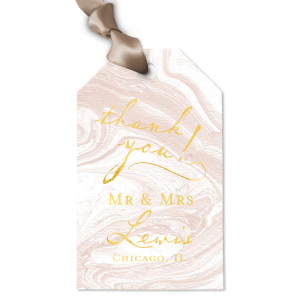 Just choose color combinations and fonts to go along with the destination and theme, making your wedding gift tags coordinate nicely with your other wedding party supplies. 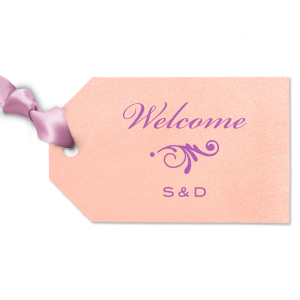 Get started designing your personalized destination wedding luggage gift tags today!